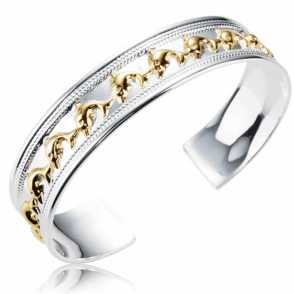 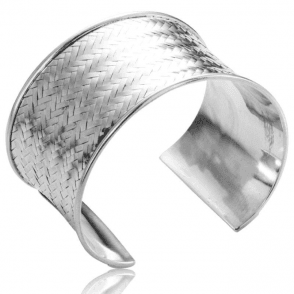 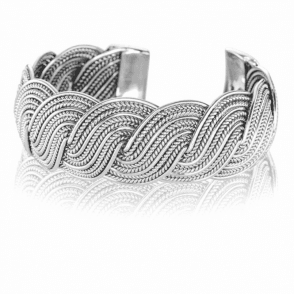 Extra Pure Silver Bangle Softens to your WristSimply polished perfection in very pure silver, this bangle has a soft pliable quality to achieve your perfect custom fit. 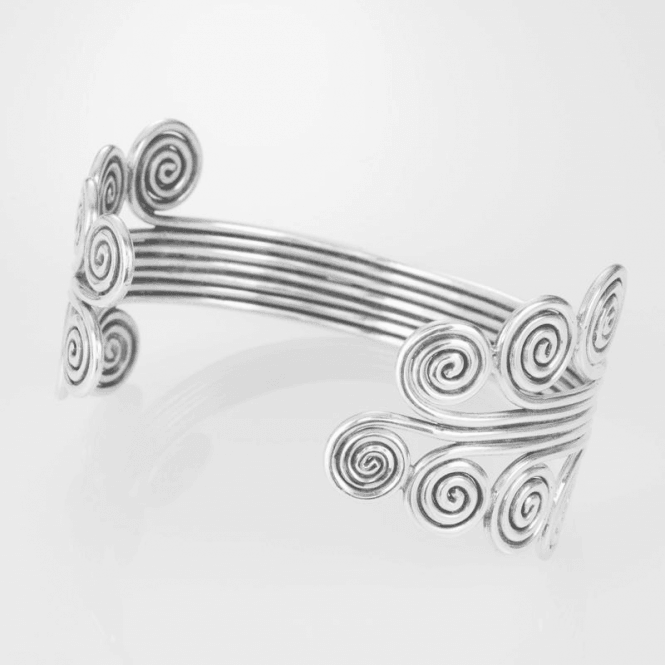 Hand crafted with flowing precision, each of seven strands opens into a graceful Grecian scroll. 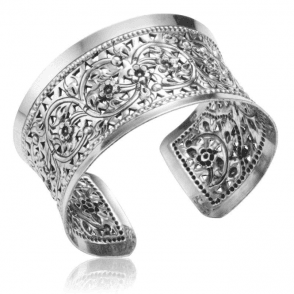 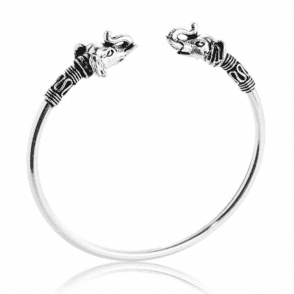 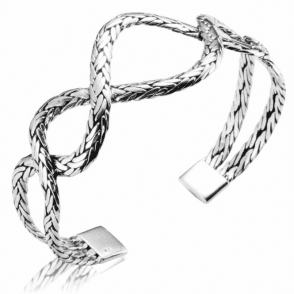 Fits wrist up to 7½".